An Irishman working as a lecturer at a private university in Paris has been stabbed and killed by a former student. French police say that the man was stabbed a number of times outside the Pole Universitaire Leonard-de-Vinci, in the Hauts-de-Seine on Wednesday. He has been named as 66-year-old John Dowling. The French news service Le Monde said the police also confirmed that they had detained the suspected killer of the academic who was close to retirement after 20 years’ teaching service. The victim has not yet been named. "The Department of Foreign Affairs and Trade is aware of the case and is providing consular assistance," a spokesman confirmed. 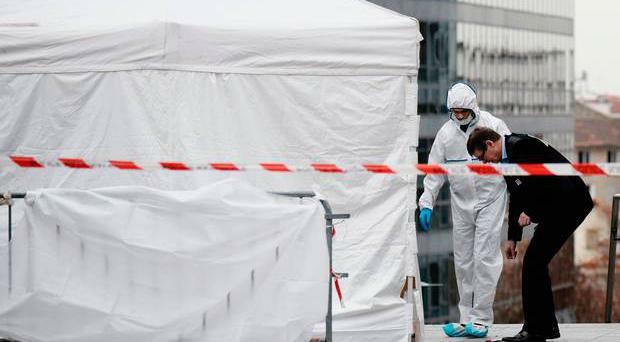 The suspect who was detained has been described as a 37-year-old former student at Leonardo da Vinci University, which is situated in the district of La Defence in the suburbs of the French capital. The student is understood to have been born in Pakistan. Sébastien Tran, a director at the university, said he believed the student was "dissatisfied" at his exclusion from the university in 2017, but added that he had not been seen as a particular threat. "We are very surprised and upset," Mr Tran added. The university director general, Pascal Brouaye, spoke to reporters after the incident. "It’s an incident which has stricken our entire community. This is a language teacher who gave 20 years’ service here and who was well liked by everyone," Mr Brouaye said. Mr Dowling had previously taught at the Emerald Cultural Institute in Dublin where colleagues paid tribute to him. “It is with deep sadness that we have learnt of the death of our beloved friend and colleague John Dowling. We will all miss him more than words can say,” a Facebook post read. Another user commented that they were sad to hear the news and that Mr Dowling was a “gentleman”. The director general confirmed that the victim was of Irish nationality, aged 66, and close to retirement. After the incident happened on Wednesday, all classes were suspended for the day, and counselling services were made available to staff and students. The French minister responsible for third level education, Fréderique Vidal, expressed her "deep regret and enormous indignation" at news of the killing. She added her hope that the incident will be fully investigated and all details made public. A motive for the killing remains unknown. A man in his 50s has died after the car he was driving collided with another vehicle in Co Tipperary. By Cormac McQuinn The final resting place of the "vast majority" of hundreds of children that died at a mother and baby home in the Irish Republic is not known.